4 exercises about jobs in the school. 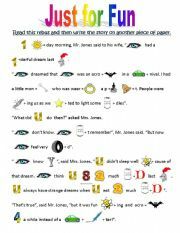 It has a pre-reading activity and post-reading activities as well as strategies to help students comprehend when reading. Hope you like it!! some of the greatest inventions ever!! 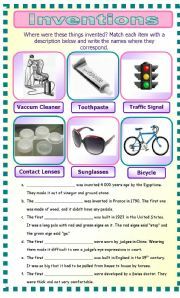 Students are given a worksheet with the picture of some of the best inventions in the whole world. The, they read their descriptions and match them. 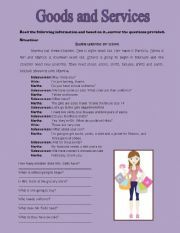 This worksheet provides a situation and a dialogue at a clothing store as well as several questions to check reading comprehension. Then, students can practice and perform the dialogue to improve other skills. This dialogue takes place at a travel agency where a couple is planning a trip to Europe. 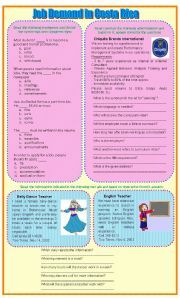 Some questions are provided to work on Reading Comprehension. 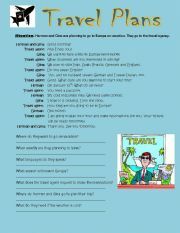 Also, students can practice the conversation and perform it for the rest of the class. this worksheet includes a pre-activity, two while activities and a post activity regarding goods and services people can get in the community. This reading provides the students with different ways people use to greet. Also, they solve a multiple choice exercise to check comprehension and finally, they can prepare a conversation and include one or two of the ways to greet mentioned before. The conversation can be performed in front of the classmates and teacher. 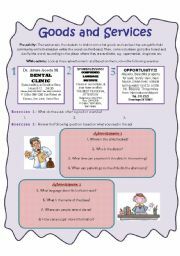 this worksheet is related to jobs and employment advertisements. 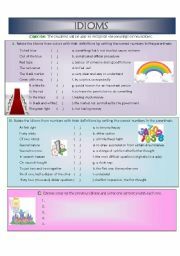 it includes a multiple choice and reading comprehension through answering questions. This text is about what a Cibercaf� is, what people can do there. 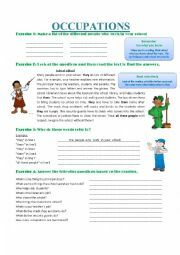 Two exercises to check students� comprehension are provided. This presentation provides students with a wider knowledge on how women are treated in differents parts of the world. It is good for discussion and also they can compare with the role of women in their own countries.